Bach’s four-voiced chorale harmonisations have formed a major focus for the teaching of HARMONY ever since they were written. They were first published in printed form in 1765. A quarter of a millennium later, the topic still provides the core of the study of musical harmony in examination syllabuses and specifications. 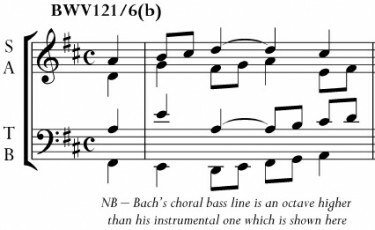 Chorales were the hymn tunes of Bach’s time and place. 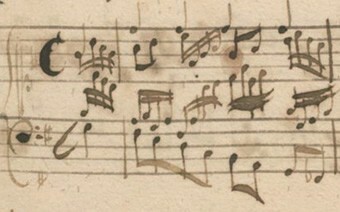 The traditional view has been that he harmonised their melodies using the functional harmony also found, for example, in Mozart’s string quartets or Schubert’s piano accompaniments, as well as in the traditional English hymns that have come down to us today mainly from the nineteenth century. But this does not address the problems that arise when characterful individual parts/voices have to be created. Functional harmony may be a useful analytical tool, but it does not readily provide practical compositional skills, and especially not for TEXTURE which is a core ingredient in any musical composition. This new Course addresses these problems and also builds all its work directly from what Bach actually did. Every melodic phrase set for harmonisation is taken from a phrase whose harmonisation provides a suitable solution for the task set at each stage during the Course. Christopher Mabley is a teacher, conductor, composer, arranger, performer, writer and examiner. He studied Music at the University of Cambridge, and subsequently took a Master’s degree in the Theory and Analysis of Music at Goldsmiths, University of London. 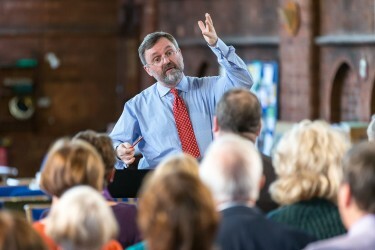 He has taught Bach’s chorale harmony to students of all abilities since 1984. Inspired at the turn of the millennium to make his own investigations into the musical language of Bach's four-voiced chorale harmonisations, fourteen years later he completed this Course, marking the tercentenary of Carl Philipp Emanuel Bach. Just as Emanuel had been concerned to ensure the accuracy of the original publications of this music, so Christopher has been concerned to ensure that the manner of their harmonisation is understood on its own terms rather than from opposing perspectives. Students over many generations have benefited from his evolving ideas, and this Course represents the culmination of his research; its publication in 2015 marked 250 years since Bach's four-voiced chorale harmonisations first appeared in print in 1765.